An electrical substation is a subsidiary station of an electricity generation, transmission and distribution system where voltage is transformed from high to low or the reverse using transformers. A substation that has a step-up transformer increases the voltage while decreasing the current, while a step-down transformer decreases the voltage while increasing the current for domestic and commercial distribution. The word substation comes from the days before the distribution system became a grid. The first substations were connected to only one power station where the generator was housed, and were subsidiaries of that power station. Substations generally have switching, protection and control equipment and one or more transformers. In a large substation, circuit breakers are used to interrupt any short-circuits or overload currents that may occur on the network. Smaller distribution stations may use recloser circuit breakers or fuses for protection of distribution circuits. Substations do not usually have generators, although a power plant may have a substation nearby. Other devices such as power factor correction capacitors and voltage regulators may also be located at a substation. Substations may be on the surface in fenced enclosures, underground, or located in special-purpose buildings. High-rise buildings may have several indoor substations. Indoor substations are usually found in urban areas to reduce the noise from the transformers, for reasons of appearance, or to protect switchgear from extreme climate or pollution conditions. Where a substation has a metallic fence, it must be properly grounded (UK: earthed) to protect people from high voltages that may occur during a fault in the network. Earth faults at a substation can cause a ground potential rise. Currents flowing in the Earth’s surface during a fault can cause metal objects to have a significantly different voltage than the ground under a person’s feet; this touch potential presents a hazard of electrocution. Note that all documents in this section are free to download. Substation automation designers are faced with many choices about system topology, primary and backup devices, and redundant data paths. Determining the reliability of substation automation systems can be… . This paper is a discussion of an NSTAR Electric & Gas Corp. project using current Ethernet technology to build a Local Area Network (LAN) in a single substation application… . This manual presents a review of applicable sound and vibration-level criteria, sound level data for reciprocating and turbine-type engines driven by gas and liquid fuels… . This manual contains a generalized overview of the fundamentals of transformer theory and operation. The transformer is one of the most reliable pieces of electrical distribution equipment… . Transformer losses can be divided into two main components: no-load losses and load losses. These types of losses are common to all types of transformers… . An electrical transformer substation consists of a whole set of devices (conductors, measuring and control apparatus and electric machines) dedicated to transforming the voltage… . Today’s state-of-the-art HVDC and FACTS controls fully digitized and processor based allow steady-state, quasi steady-state, dynamic, and transient control actions… . IEC 61850 is the global standard for communication in substations. It enables integration of all protection, control, measurement and monitoring functions within a substation… . This bulletin covers rural transmission and distribution with air-insulated, outdoor substations 345 kV (phase-to-phase) and below… . 10 Guide To Forms Of Separation In LV SwitchGear and ControlGear – UPDATED! Carry out 500V Megger test for phase to earth, neutral to earth, phase to neutral and phase to phase to measure the insulation resistance with all breakers in ‘ON’ positions… . Distribution transformers are very efficient, with losses of less than 0.5% in large units. Smaller units have efficiencies of 97% or above. It is estimated that transformer losses in… . The implementation of the quality process in production plant will entail to organised the work station on the way to reach the quality target as per imposed by the standard… . One important element of good power system design is the proper selection of the distribution equipment. The choice of using either switchgear or switchboard must be… . The power supply of industrial networks can be LV, MV or HV. The voltage rating of the supply source depends on the consumer supply power. The greater the power required… . This guideline establishes criteria and requirements for the interconnection of distributed resources within the distribution system of EPCOR Distribution & Transmission Inc… . This MS Excel Spreadsheet is actually detailed instruction for each procedure necessary for correct testing of power transformer… . Load steps refer to the amount of load that will be placed on a genset at one time. A genset may accept load in one load step, or may spread it out over several load steps… . When voltage is impressed across any insulation system, some current leaks into, through, and around the insulation. When testing with DC high voltage, capacitive charging current… . A T&D system exists to deliver power to electric consumers in response to their demand for electric energy. This demand for electricity, in the form of appliances, lighting devices… . The basic function of electrical cable in a power plant is to transmit instrument signals, control signals, and electrical power. In most non-nuclear power applications… . The purpose of this document is to provide a general guide to the design of an Air Insulated Switchgear (AIS) and a Gas Insulated Switchgear (GIS) of an AC substation… . The three cables in a 3-phase circuit can be placed in different formations. Typical formations include trefoil (triangular) and flat formations. The choice depends on… . This guideline is prepared in view of the requirements for switchyard service inspection (visual) and condition based maintenance of substation equipment, structures… . A conventional magnetically-held contactor, once it is closed, remains closed as long as the main coil is energized. Most commonly, the control supply for the main coil circuit… . The tank vacuum/pressure gauge may indicate positive or negative when the transformer is received, depending on the relative fluid and ambient temperatures… . In the electrical system environment, power disturbances will occur. These can be caused by faults on the distribution system, the operation of nearby equipment, lightning strikes… . The potential benefits of electrical energy supplied to a number of consumers from a common generating system were recognized shortly after the development of the “dynamo” … . Circuit breakers (CBs) are very important elements in the power system. They are used to switch other equipment in and out of service. Circuit breakers need to be reliable since . Capacitors must be built to tolerate voltages and currents in excess of their ratings according to standards. The applicable standard for power capacitors is IEEE Std 18… . Switchgear, switchgear installations and all devices installed in it for high voltage up to and including 52 kV are commonly referred to as “medium voltage”… . The NEC states “Overcurrent protection for conductors and equipment is provided to open the circuit if the current reaches a value that will cause an excessive or dangerous temperature… . 33 SF6 or Vacuum MV Circuit Breaker? Which one to choose? Approximately 35 years ago, in the mid 1960s, two new breaker technologies, one using SF6 gas and the other vacuum as its arc quenching medium, were introduced to the market… . 34 Why Is Arc Detection Important? High-impedance arcs and corona generate high-frequency current pulses that ride on the lower-frequency wave of the applied test-current waveform… . By transmission and distribution of electric power is meant its conveyance from the central station where it is generated to places, where it is demanded by the consumers like mills… . The installation of underground transmission lines costs more per foot than most overhead lines. Costs of underground construction can range from four to ten times as much as an equivalent length of overhead line… . Test objectives is characterising the no load losses and the no load current of the transformer and checking that the characteristics are in conformity with the current standard… . The temperature of the devices in the switchboard cabinet and that of touchable parts are important factors with respect to operational reliability, life span and personal safety… . Differential protection is a unit-type protection for a specified zone or piece of equipment. It is based on the fact that it is only in the case of faults internal to the zone… . The general purpose of earthing system is to protect life and property in the event of 50/60 Hz faults (short-circuit) and transient phenomena (lightning, switching operations)… . The level and the type of pollution of a region are associated with the sources of pollution, as well as with weather factors of the place… . Transformer action depends upon magnetic lines of force (flux). At the instant a transformer primary is energized with AC, a flow of electrons (current) begins… . In explosive atmospheres shall exposed parts in general be earthed through an earth conductor in the supply cable. Exposed parts shall in addition be provided with an equipotential bonding connected… . 44 Fixed or withdrawable MV switchgear? During the evaluation of purchasing of a new medium voltage switchgear the following main aspects are reviewed: Safety, reliability and economics… . Consideration of appropriate safety criteria (usually an allowable shock voltage) is required for all electrical assets that form part of the network. Consideration should be made for substations… . Ungrounded systems employ ground detectors to indicate a ground fault. These detectors show the existence of a ground on the system and identify the faulted phase, but do not… . IEC 60439, the standard for low-voltage switchgear and controlgear assemblies, was under restructuring from the last decade. The new series of IEC 61439 standards… . The Insulation-resistance shall be taken with all the winding earthed, expect, the one being tested. While checking the value, external line, cable and lighting arresters shall be isolated … . This section provides examples of typical electrical system designs used in low and medium/high voltage on–site power generation applications. It includes descriptions of… . There is no way to tell if an electrical conductor or terminal is alive just by looking at it, it should be tested using an appropriate approved tester. Thereafter it should be made safe in… . I’m working for BCMM Municipality-electricity.Im a clerk of works here.i need you to help me understand the heavy current components,specificaly the substation equipment and each its components and use.Breakers,transformers,auxiliary transformers,isolators,current transformers,voltage transformers,surge arrestors,neutral earthing compensator(NEC),neutral earthing compensator resistor(NECR),HYpact unit Line,cubular bus bars and conductor bus bar.132 and 66kv bus couplers,HYpact bus coupler,132kv and 11kv bus section breaker,panels,DC system,DC supply for inverter. Thank for the assistance in advance. Thank you for an excellent portal where all can learn about Distribution networks. Its really a best site to enhance knowledge and find out solution of many doubts. so I thanks to creator of this site . Kindly mention your lead time delivery. pls share ur email id. Can we consider parallel runs in determining short circuit rating of feeder? Example: 33KV incoming feeder has to be designed for 33KV, 31.5KA, 1sec rated Panel to feed 20MW, feeder length is about 2000 m to be laid in RCC Trenches. 2Runs 33KV, 300 Sqmm, AL Cond., XLPE Cable is recommended to cater 20MW, 350A & fault current of 31.5KA, 1 Sec. 1Run of 300 Sqmm, AL Cond., XLPE Cable can carry 310A in duct @ 30 deg C and about 28KA for 1 sec as per manf. catalog. So 2 runs cater 474 Amps i.e. more than sufficient to cater required 350A. As 2 Runs are considered it is supposed to cater 31.5KA, 1sec considering current sharing in parallel runs. Kindly give your advice on the above. PLZ can you help me to find a electrical engineering final year project . I glade to see such a nice blog site i ever see…….and useful. Thanks again! Been visiting this site for a pretty long time. Has been very useful whenever I was stuck in a problem / crisis concerning substation, distribution and transmission design engineering. Would like to contribute from my collections which will be useful to design engineers. Hello, Mr. Csanyi, If you wouldn’t mind, while we are on the subject on the subject of Electrical Software, I would like to hear your opinion on custom software development for power networks. Seeing how the market is dominated by a particular number of companies, can outsiders (IT company) step in and be competitive. I’ve recently graduated and now I found myself in this particular business, directly connected with the marketing department. Although I can’t say much about details and particulars (NDA, I’m sure you understand), I work on adaptive coordination for overcurrent relays. I can share link to the particular article (it’s potential customer oriented, not purely technical), discussing the possibilities and advantages of implementing the adaptive OCR. Please, Can I find books about Photovoltaic systems / Substations? I will be benefited if you assist to know how to calculate HT CT ration for HT/VCB Panel. Hi, i study your E E portal, That is good attempt to convey your syetem specs to Readers, pls i need substations details on my Email site. Hello my Friend.Could we omit the GCB(Generator Circuit Breaker) of a 160MW Combined Cycle unit (with a 160MW/15.75kV Genarator and a 200MVA/230/15.75kV Unit Transformer)? 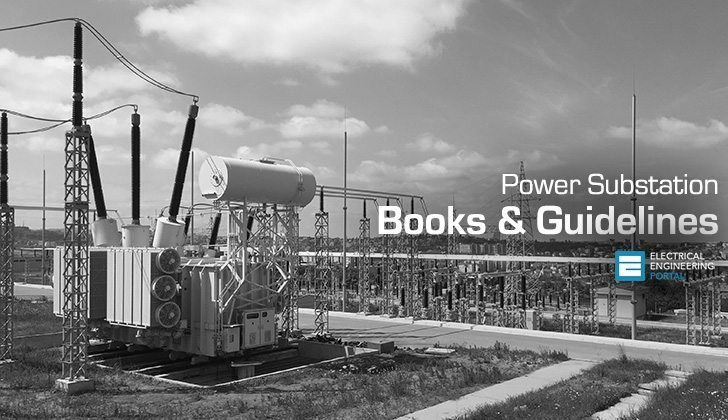 How can i find the book “Substation Commissioning Training Course” written by Mr. Raymond Lee ?? I’m a substation supervisor in Bangalore. This quite helpful. Keep it up. Using Voltage Stabilizer and UPS systems can prevent you from any kind of power mishaps. I am working as a technician in eskom, i like knowing about different protection we found in our substation,different relays how they operate when flacked what fault to be expected.more especially in distribution substations.i hope ill learn a lot from you thanks.if posible can you send me theorytical guardes. Excellent Technical Knowledge Site, I Like Very much and Many Thanks for providing such useful technical paper, keep the good works. Thanks for your documentations ,my job is electrical technician ,vendor position for italian provider LV & MV electrical equipment. Thanks for this kind of portal site. It is very informative and helps a lot to our fellow electrical practitioners….keep it up guys!!! Can anyone show me the Fault Current Calculation of Transmission Lines? Thanks for useful technical paper, keep the good works. Thanks for making these references available for us. Keep up the good work, guys! Hi the people iv just finished my studies and am currently working,and I have been learning on how to use the new software “Janitza GridVis software” and this software monitors power from High to Low voltage systems and currently i have been tasked yo write a programm that will be used for valves have any of you people got maybe some idea on this new jasic programming?? To be honest I never heard of it. Can you share with me some information about it, some links. want to be a part of this knowledge pool. Help me out.